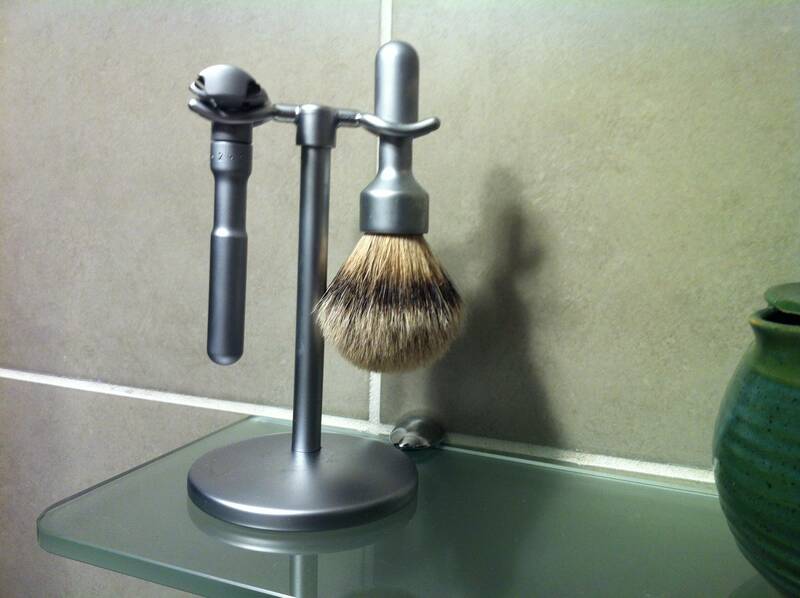 Merkur Futur, Brush & Stand in satin finish. I have used this approx 5 times. I am the second owner, previous owner advised me that he had only used it a few times. This was my first razor which I acquired in November 2015. Asking $150.00 cdn shipped, or make me a offer. I am located in Ontario, Canada and will ship it to the U.S. Very cool set! I'd never seen the whole thing before. Didn't even know it existed. Would you ship to Scotland?